“For me, my biggest fear was being seen. Not just on the outside, but on the inside… like really being seen. For as long as I can remember, I’d always kept myself small, blending in and not really wanting to stand out. 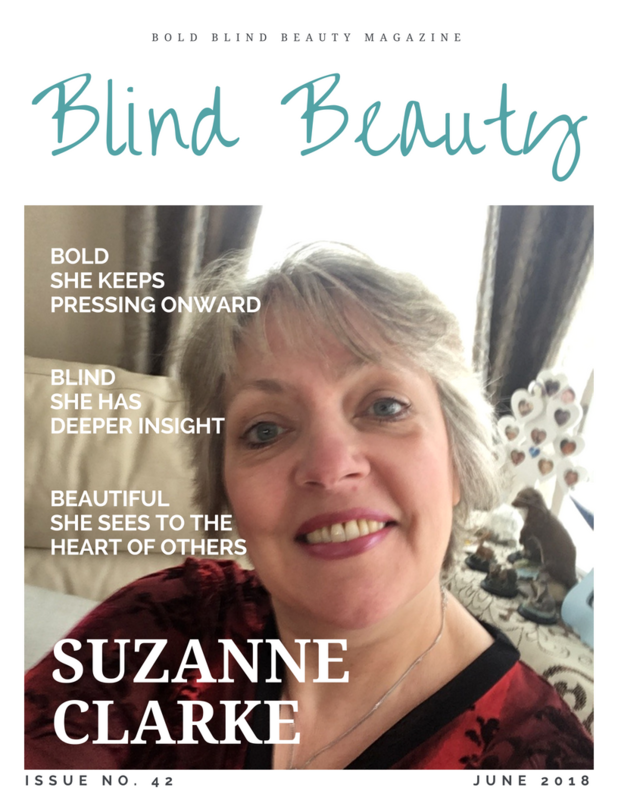 Today we are pleased to share Suzanne’s story of grit and determination on receiving her devastating blinding eye disease diagnosis. Throughout this article are some of Suzanne’s favorite quotes that help to keep her grounded. I’d wanted to be a nurse since I was 4 years old. I achieved that dream and completed my Nurse training in 1987. I later found my niche in Hospice and community palliative care nursing. It wasn’t a job to me, I loved what I was doing. Yes, it was hard at times, but oh so rewarding. In 2016 I relocated to Dorset. Another dream of mine to live near the sea. A year later, I had a job all lined up in a hospice there, and all was going great. Then I broke my ankle, so I was out of action for a good few weeks. Later I had a diagnosis of osteoporosis confirmed. During that time I was under the hospital ophthalmic team. The opticians had picked up something on my retinas. My Dad has RP (retinitis pigmentosa) and there was concern over whether I had inherited it. I was in denial, so put it to the back of my mind to deal with when the time came. I couldn’t take the job at the Hospice. It was ok to drive to, about 45 minutes away. It was too far and difficult by public transport – which doesn’t mix well with shift work! I didn’t know about the RNIB Access to Work scheme back then. So I moved back to Hertfordshire where I’d lived previously for 40 years. I was looking for security and familiarity. If I was going to lose my sight, I wanted to be somewhere I knew well. Fast forwarding a few months, I found help and support where I least expected it. An RP Facebook group and an awesome poet, Dave Steele! I’d also been doing some intense internal healing work, in groups and one to one— thanks to Denise Barbi and Anna Hunt. I’d reached my rock bottom—the only way back was up! Along with that returned the niggle of serving my purpose, of getting my story out there to help others. I’d suppressed this for so long, but I couldn’t keep it or me hidden anymore. It was fit to burst. The urge to help, guide, support, mentor and teach others was too strong. I knew I had to be seen to do this, but it just had to be done. It started with social media and has gone on from there. I am now working as a volunteer for the RNIB (Royal National Institute of Blind People). One of my many roles is to co-facilitate confidence building and living with sight loss courses. Also, a community connect role bringing people together and meeting up, so they feel part of a wider community and less isolated. I’m also going to be a roaming technical volunteer. Visiting blind/visually impaired people in their homes. Helping them with their technical equipment, which again helps them feel a sense of connection and belonging. So I have now made friends with my RP. I had to in order to move on with my life. What at first felt like the end of my world, was actually a wake-up call that broke me open at the core. It showed me that, for me, my life had to be shaken up from my foundations and rebuilt on more solid ground. It’s actually been a beautiful transformation. As painful as it was at the time. After all, you can’t make an omelette without breaking eggs! Suzanne smiles brightly for the camera wearing dark-framed eyeglasses and sporting her sassy short silver hairstyle. She is wearing a red and black floral v-neck top. 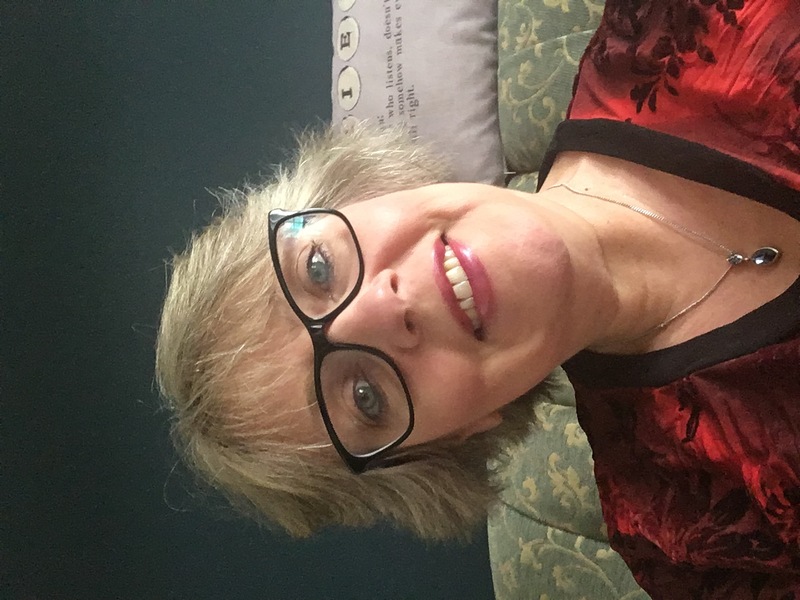 A selfie of Suzanne wearing eyeglasses and a white v-neck top. “An arrow can only be shot by pulling it backward. So when life is dragging you back with difficulties, it means that it’s going to launch you into something great.” The image is an arrow above the quote on a yellow background. “True confidence doesn’t come from your not having any fear it comes from hurling yourself to act in spite of your fear.” ~Dr. Barbara De Angelis In this image the quote is above sand dunes against a dark purplish night sky.